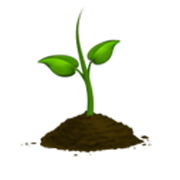 Composting is a great way to go “green” and create your own fertilizer using discarded food. Compost is very nutrient-rich, and can be used for a number of activities, including gardening, landscaping, and agriculture. But in order to compost effectively, you’ll need a place to put your scrap wastes. Creating a homemade compost bin is the perfect way to keep your compost in one place. These bins can vary in size, shape, and material, but are fairly easy to make, and can often be completed in under a day. The following instructions detail how you can create your own portable wooden compost bin. 1. Cut each of the 12-foot 2X4’s into 4 pieces that are 3 feet long. You should have 16 pieces after cutting. 2. Cut 3-1/2 inch wide by 3/4 inch lap cuts at both ends of the 16 pieces of wood. Each cut needs to be on the exact same side of each piece. 3. Join 4 of the lap pieces together to make 4 3-foot squares. Connect each joint with carpenters glue. You should also attach 4 wood screws into each joint for extra strength. To prevent the boards from splitting, drill a 1/8-inch hole with your hand drill before completely screwing in the wood screws. 4. Cut the mesh hardware cloth with your tin snips so that you have 4 3-foot squares. Fold 1 inch of each of the edges back for extra reinforcement. When placing the mesh hardware cloth against the wooden frame, the bent edge should be against the wood. Staple the wooden frame and the mesh hardware cloth squares together with your staple gun, stapling once every 4 inches. Make sure you pull the mesh cloth tight to prevent sagging. 5. Connect all 4 of your frames together with hinges at the corners. The hinges should be placed so that when the hook-and-eye is set, the L-shaped sections will latch together. In only 5 simple steps, you’re on your way to making a compost pile for your home gardening needs. This type of compost bin is completely motile, so you can try out different spots in your yard before deciding on a permanent area. For extra protection from the elements, or to deter animals from entering your new compost bin, consider attaching a wooden lid to the top of your bin. This, too, can be easily built and connected to your bin.